We are onto week 2 of the 4th season in Fortnite! 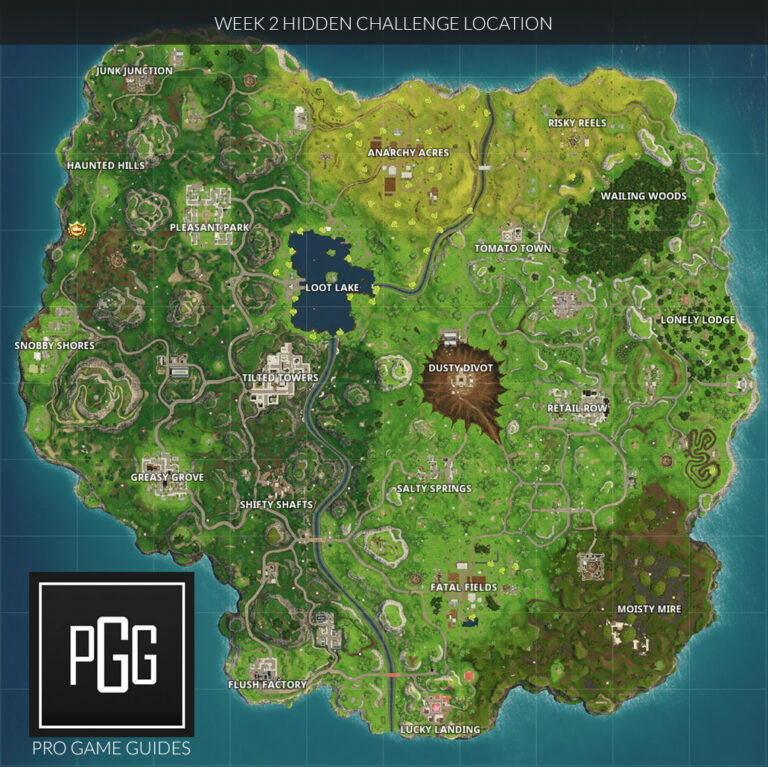 Check out a full guide on how to complete these challenges! Time to take a look at the week 2 challenges of the season 4 battle pass! Last week we were learning how to spell, and this week it looks like we will be strutting our stuff in front of film cameras! Each week there's a set of new battle pass challenges to complete. These give you a huge boost to leveling up your battle pass and earning awesome outfits, gliders, pickaxes, back bling, dances, emotes, and sprays! Most of the time you'll be searching chests or eliminating enemies in specific areas, dealing damage or getting eliminations with a specific weapon, and searching for a location with treasure via a map or given clues! With this season it's a bit more important to finish up every week of challenges. 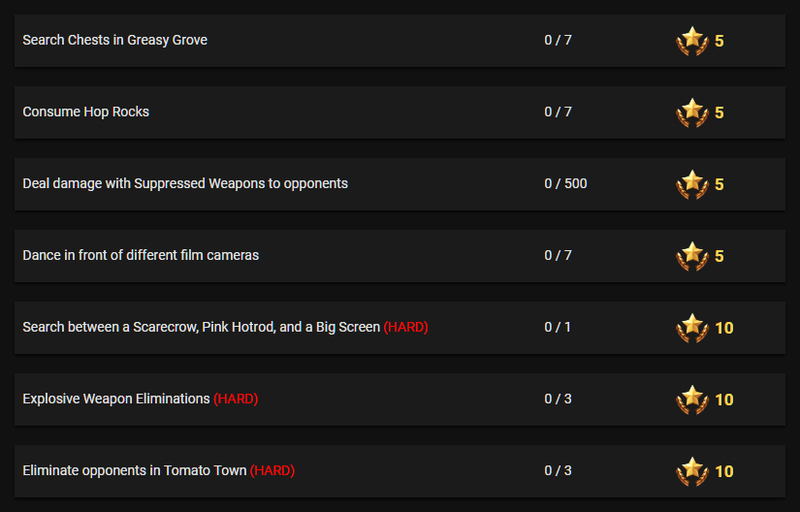 There's a new challenge set called the Blockbuster Challenges! If you complete seven different weeks of challenges you will unlock a new mystery legendary skin. Check out our guide to the Blockbuster Challenges for more information! If you haven't already, be sure to complete your Week 1 Challenges! Also, check out our full overview of Fortnite Season 4! I actually kind of like Greasy Grove as a good secondary landing area. What I mean by that, is if I'm with people that aren't ready for high population areas then this would be a good mid-range option. You will usually get a few people coming here, but it's rarely a huge fiasco. 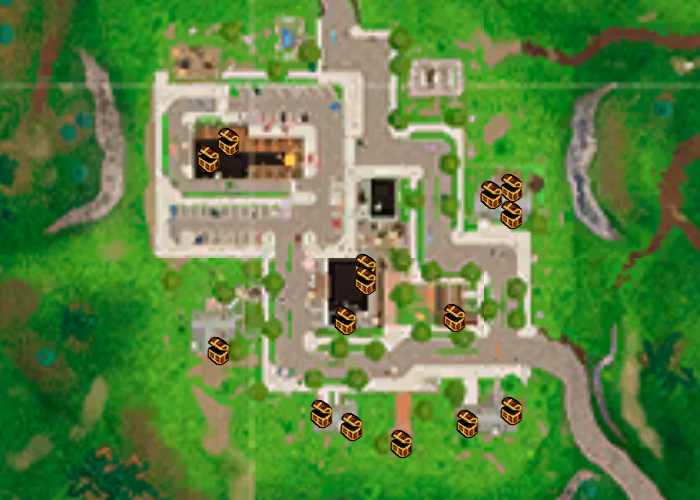 The middle blacktop building is a pretty popular spot, so if you can hack your way through the roof there it's a good possibility for chests. The north eastern most house is a solid choice, with three chests available. You can also check out the restaurant that has a basement and second floor. A chest will also spawn in the roof area on the north side! Wondering what a hop rock is?! Well, these are those small shards that spewed out of the huge meteor that struck the Dusty Depot ( which is now Dusty Divot) and made such a mess of the map. While Dusty Divot is going to be the easiest place to find these, you can find them in many areas across the map that were also hit by space rocks! Tilted Towers has a couple, west of Fatal Fields has a crater with some, and you can find some at the prison area that is north west of Moisty Mire! 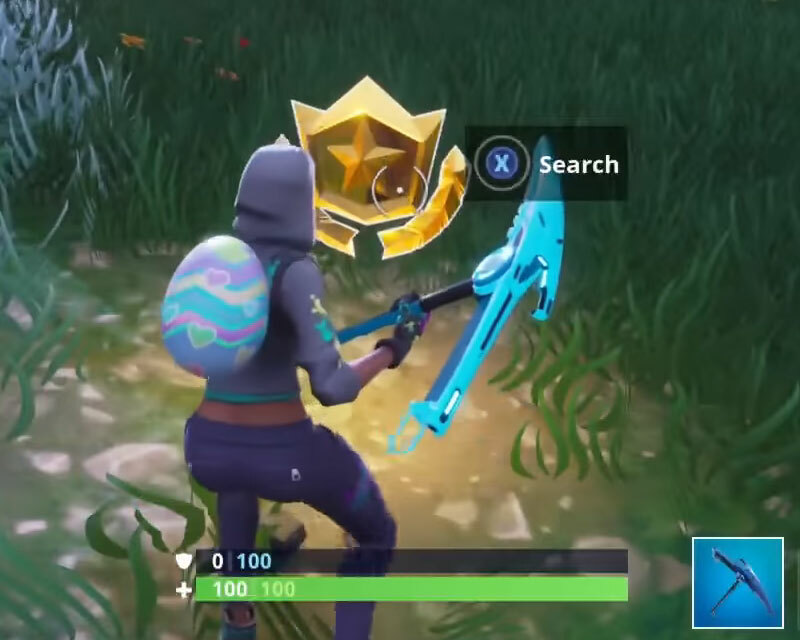 Hop Rocks allow you to jump and float forward quickly, they don't change your run speed, but when you are jumping you carry more speed. The other big benefit of these is that while under the effect you will not take fall damage. So feel free to launch yourself as high and as far as possible. The effect does not stack, but when you consume one while already under the influence of one it will reset the duration. You've only got two options with suppressed weapons unless there's a new gun being planned prior to the release of the challenges. The suppressed pistol and smg are the guns that are going to qualify for this challenge. The smg is pretty much one of the worst guns in Fortnite. It shoots extremely slow, and does very little damage. I do like the suppressed pistol, it does really good damage if you are landing headshots and can be fired very quickly! Grab the suppressed pistol and give it a chance, you might just find yourself a new weapon to carry around! We've dance in forbidden places before, so now it's time to dance for the cameras! Make sure you have a dance equipped, you might have filled up your emote slots with sweet sprays recently. Then take a look at the map below for all of the different locations you can visit to strut your stuff! If you want a more in-depth look at these challenge, check out our Fortnite Film Cameras Location Guide! This one seems pretty obvious since the big screen area is obviously at Risky Reels. There's a pink car to the north, and a scarecrow to the west! Here's a bit more of a detailed guide to this location: Search between a Scarecrow, Pink Hotrod, and a Big Screen Location. Trying to find yourself a rocket or grenade launcher might be a bit difficult, but these are very strong weapons. With the rocket launcher, try to make it a surprise that you are going to launch a rocket. If they aren't prepared for a quick rocket then they are less likely to block it with a wall. If you've got the grenade launcher, try to land the grenades so they don't bounce and explode in the air. This makes it much harder to block and can lead to some easy kills. Learn more about these explosive weapons with our Grenade and Rocket Launcher Tips Guide! Tomato Town is a pretty bad area for landing, it has very minimal loot. So, as a recommendation, I would go to the underpass area which is directly south of Tomato Town. Grab some weapons here, and then book it over to Tomato Town before everyone is dead. Another option is the brick two story house directly to the west of Tomato. I would only really head into Tomato directly if you know for sure you can get a shotgun or you can get to the restaurant before anyone else. Also, don't forget to equip your Tomatohead skin! Once you've completed all of the above challenges you can find the weekly hidden battle star! These are hidden in the loading screens you see before you enter a game. This week's star is right between Snobby Shores and Haunted Hills on a little patch of dirt. I find these Guides very helpful! Thank you very much! Please continue updating them. I really appreciate your work! Weird, not sure why that would happen. Are you sure they didn’t get picked up? Thanks for awesome fortnite posts. They help me a lot!